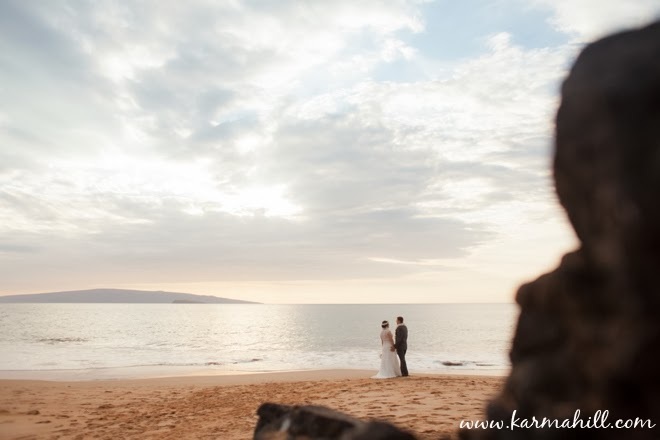 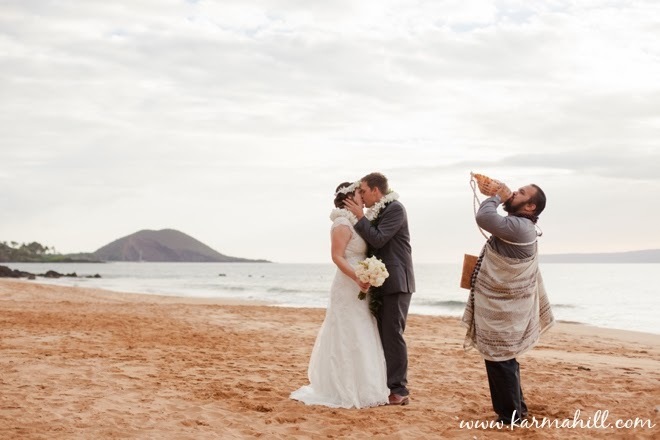 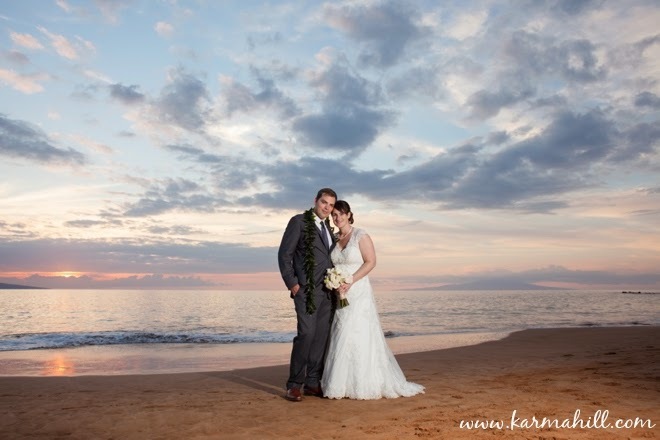 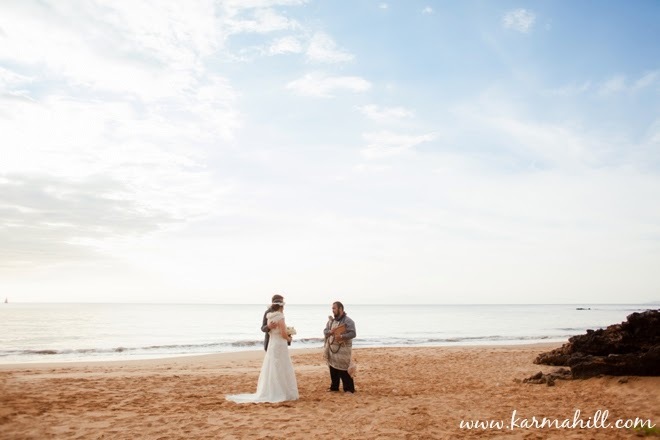 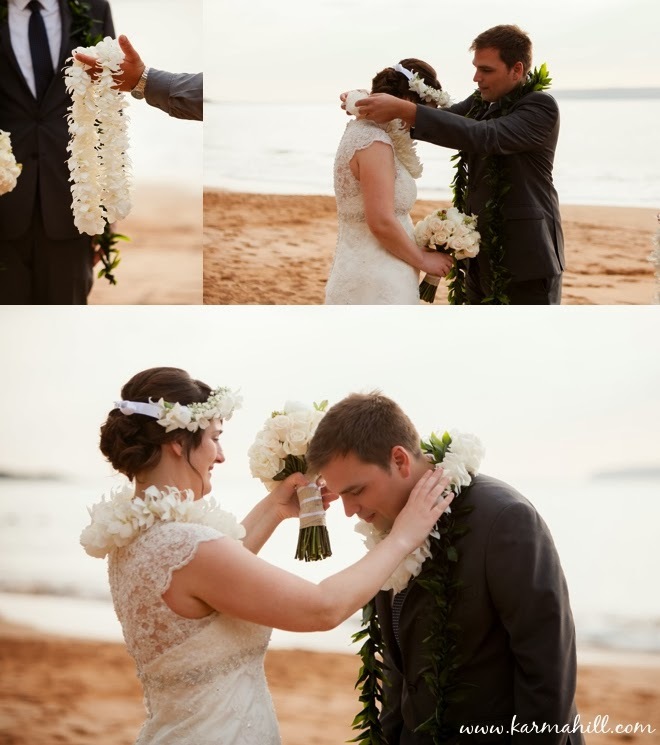 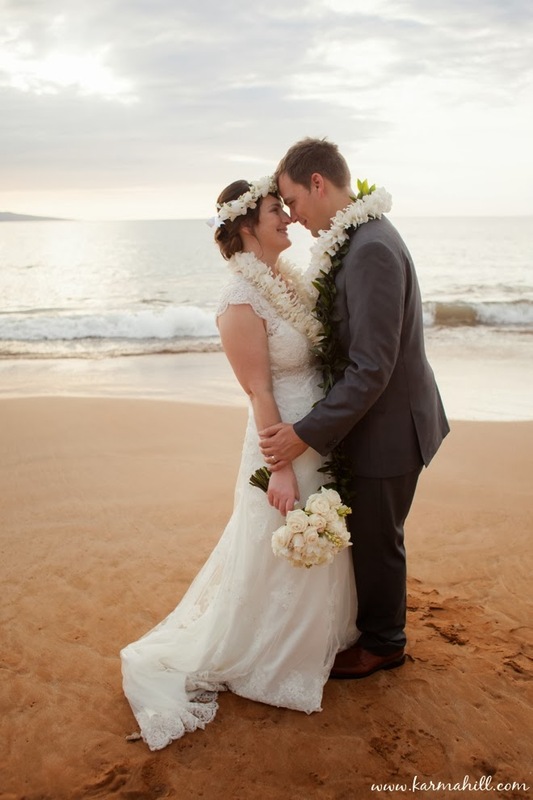 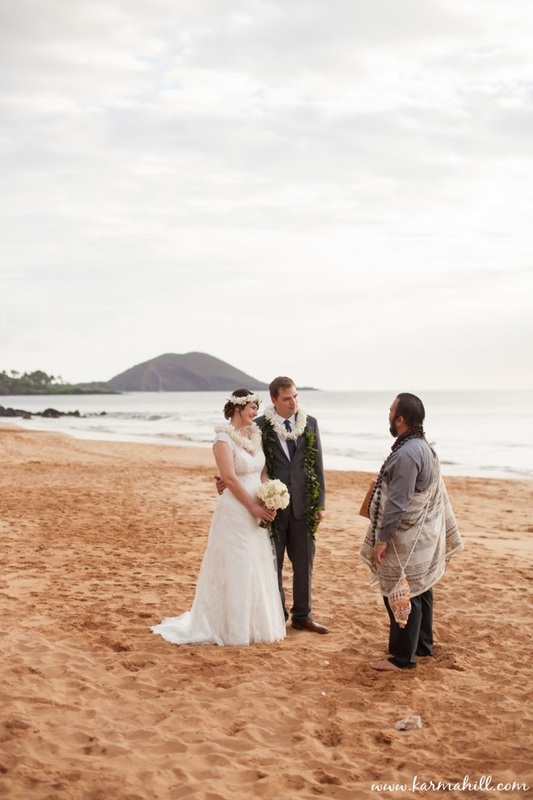 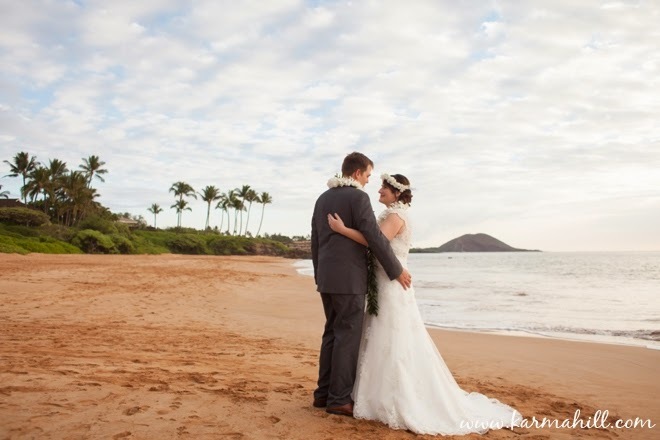 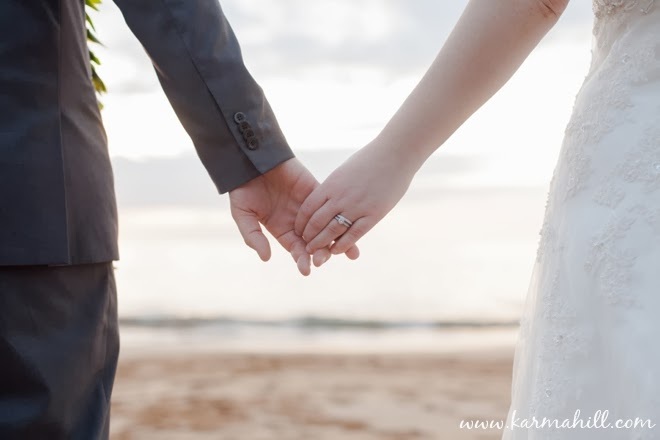 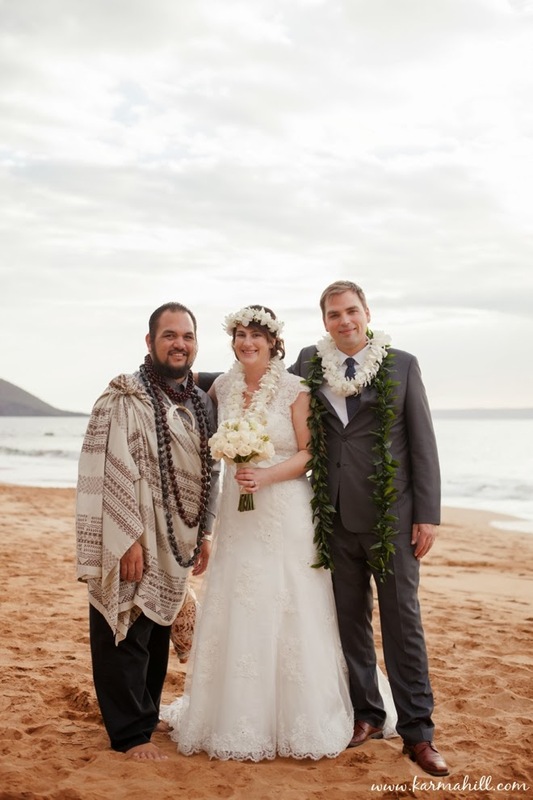 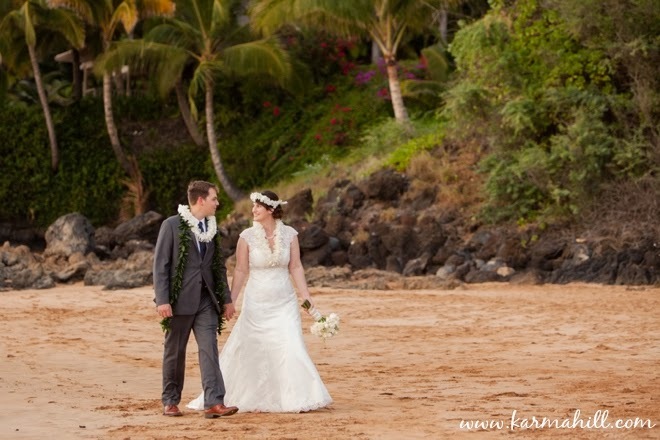 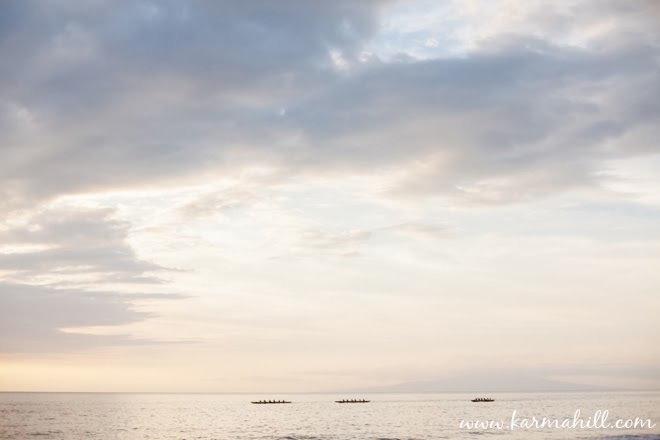 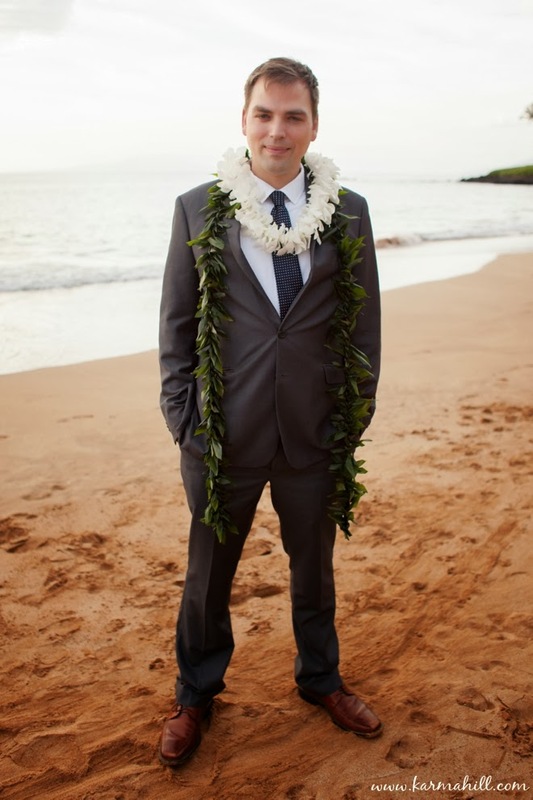 Patrick and Natalie eloped to Maui last week for their sunset Maui wedding at Po'olenalena Beach. 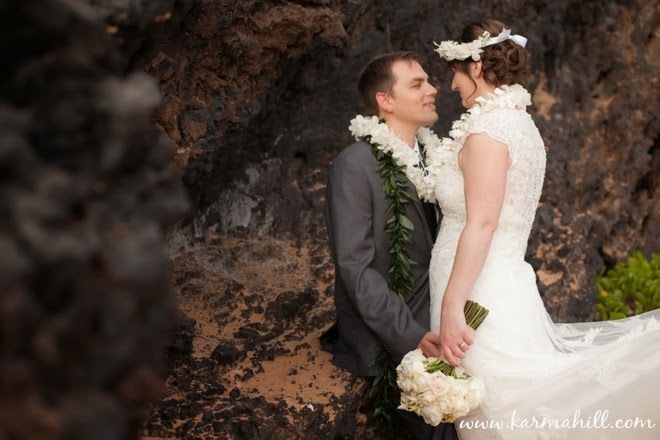 We climbed over the lava rocks to find a quiet spot on the beach for their intimate ceremony. 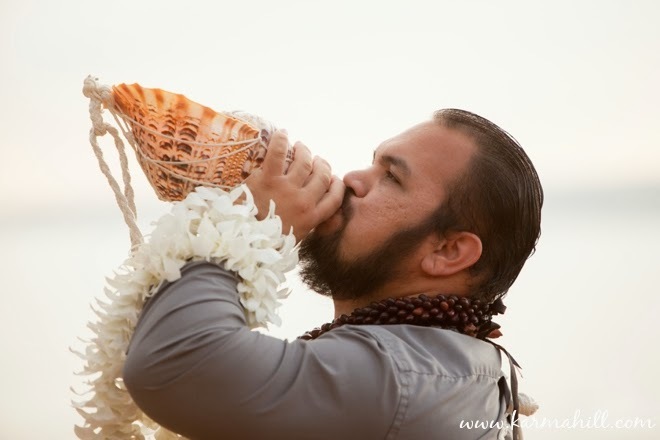 Reverend Kahu Corey Kamuela performed a beautiful ceremony for them and finished with a Hawaiian blessing. 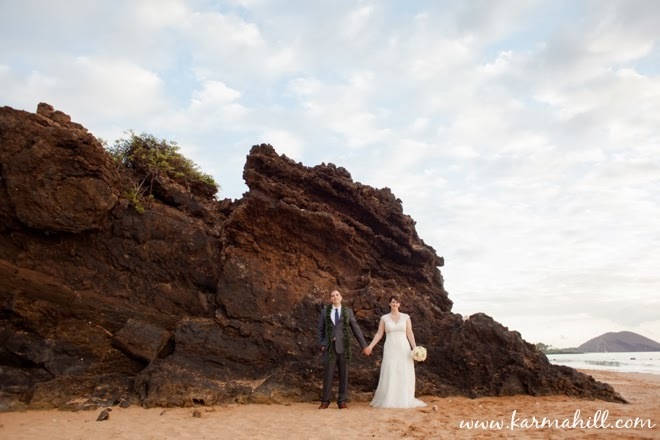 After they said 'I do' we strolled along the beach and took their bride and groom portraits beside the awesome palm tree and giant lava rock wall. 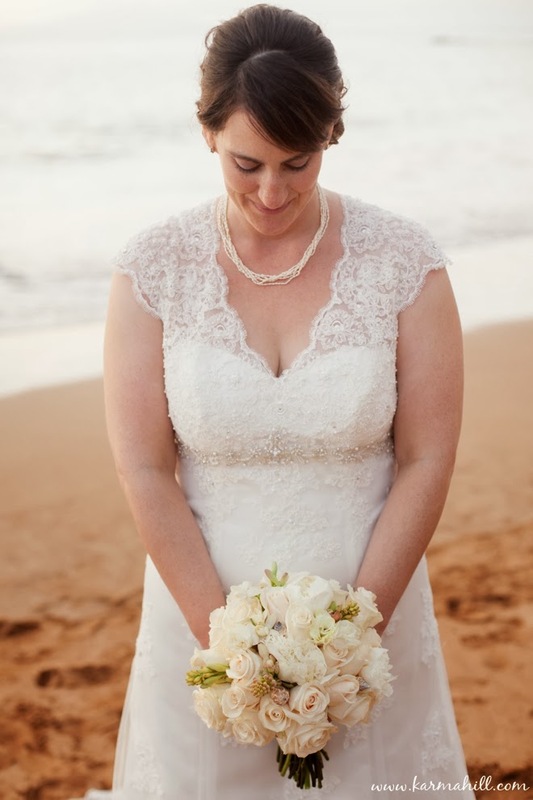 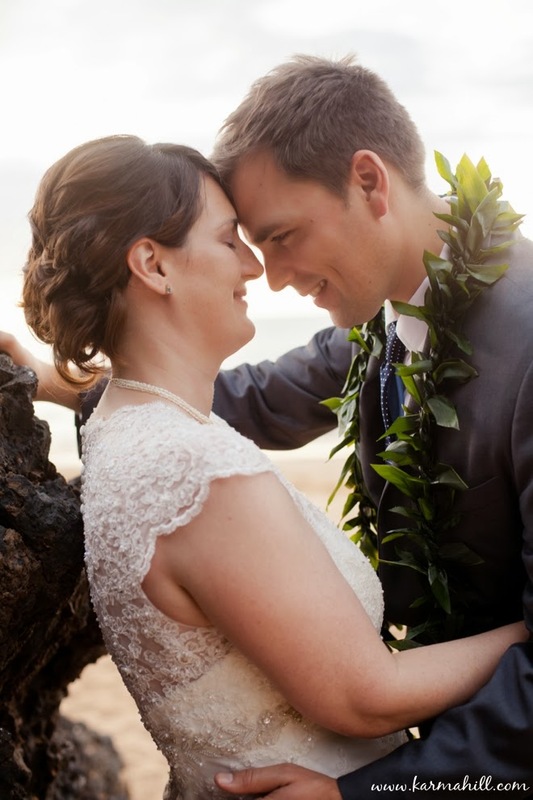 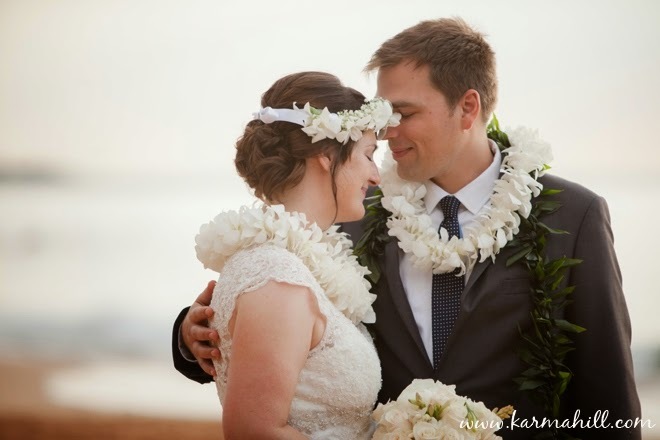 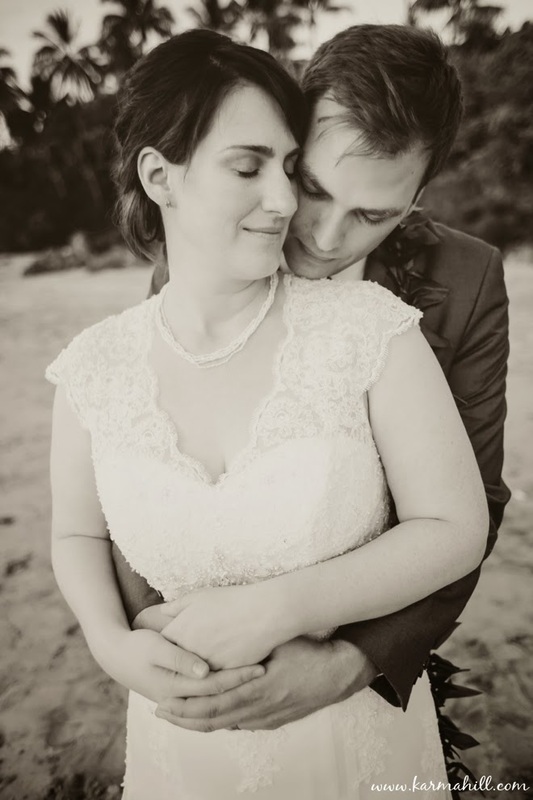 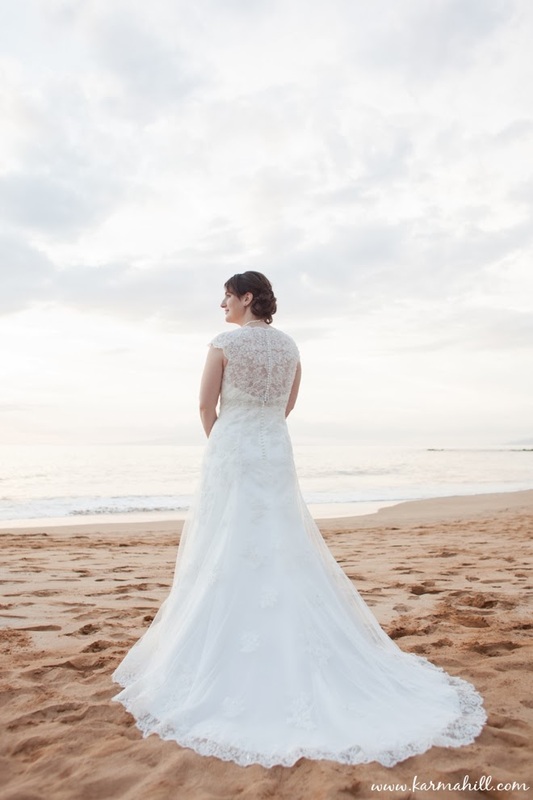 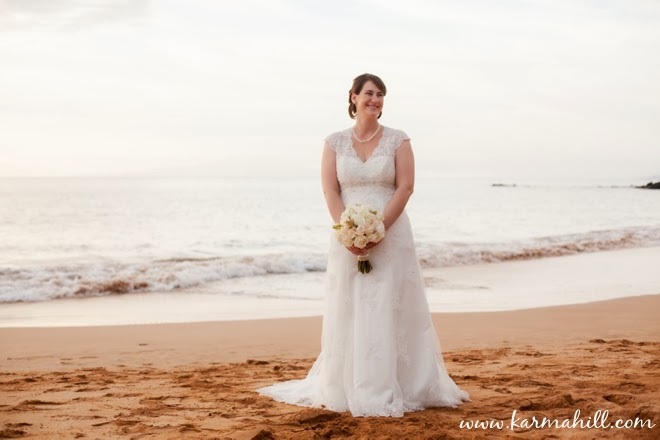 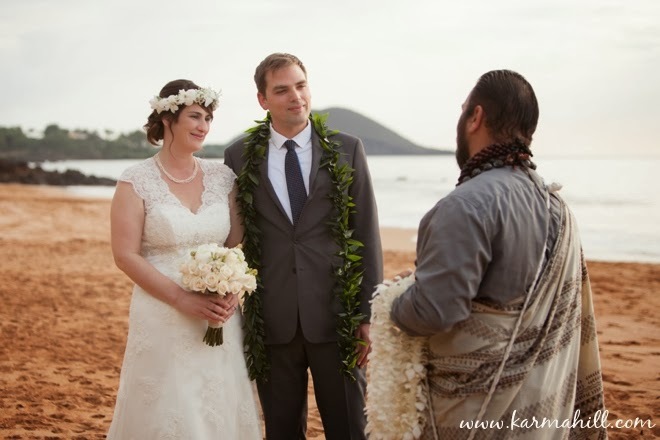 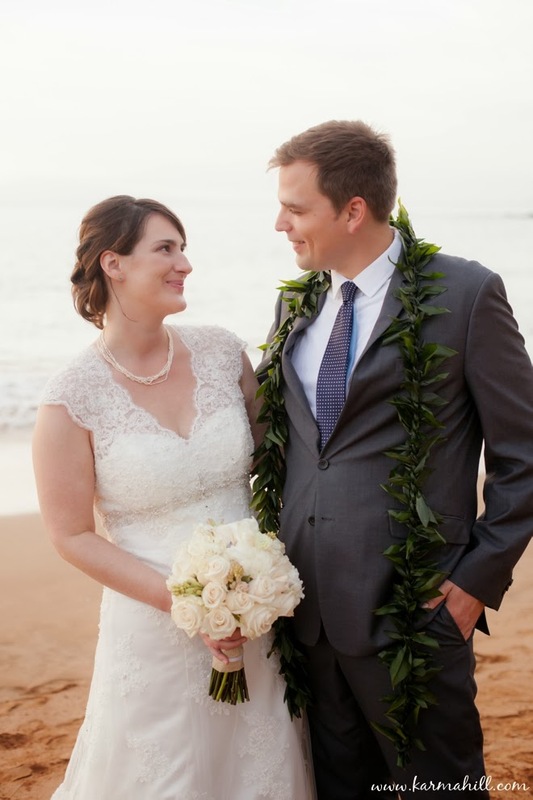 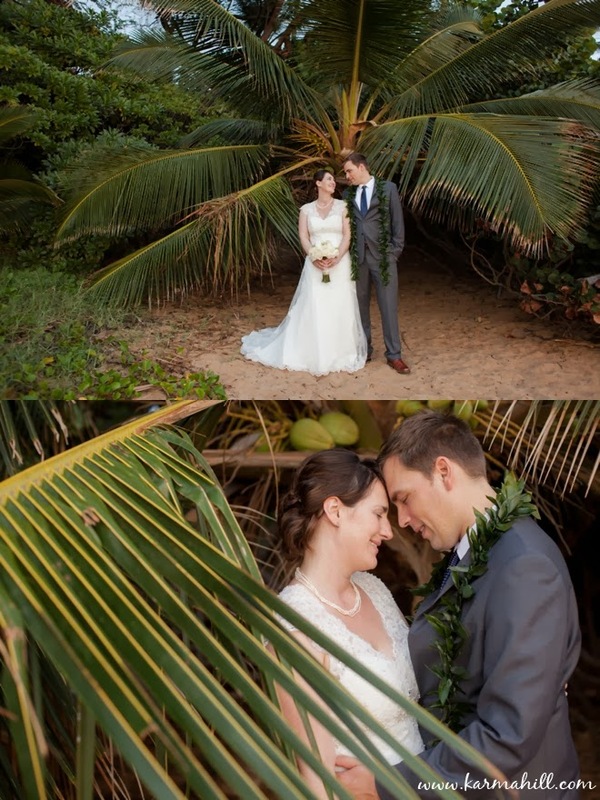 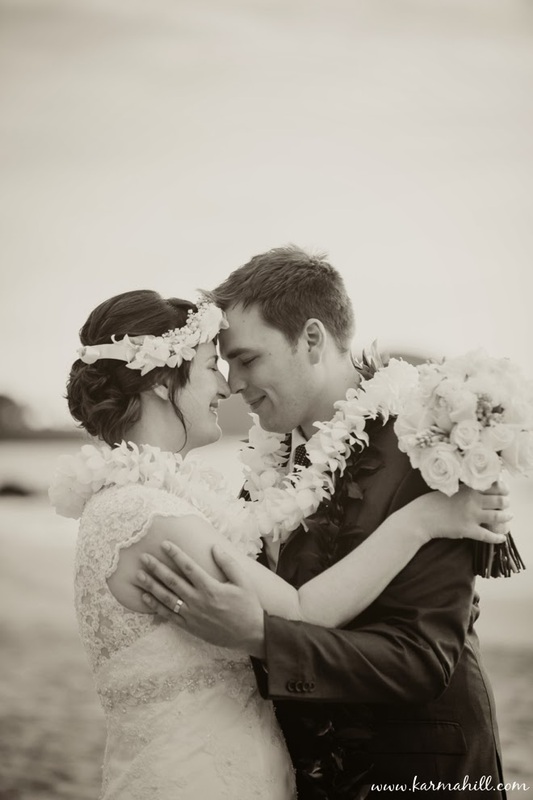 Thank you so much Patrick and Natalie for choosing Simple Maui Wedding. 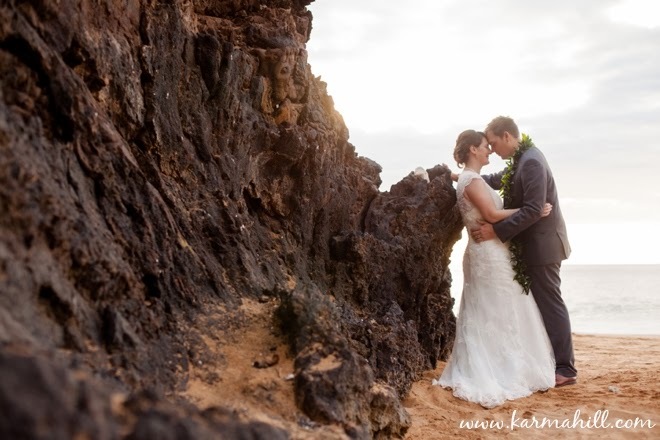 It was wonderful to meet you and we hope your honeymoon on Maui was magical! 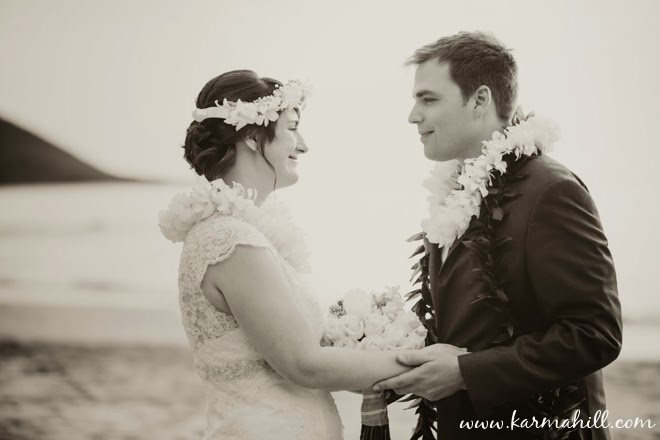 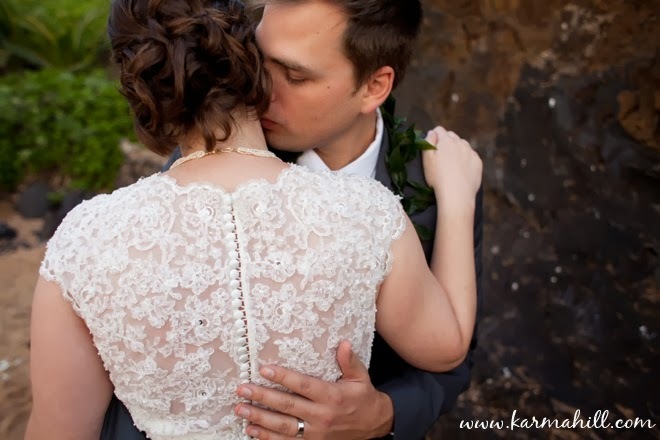 See Erica & Ryan's Maui Wedding at Kukahiko Estate!